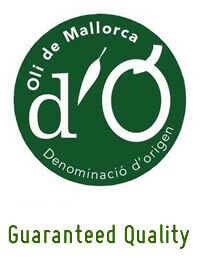 www.fetasoller.com: First-class, high-quality olive oil from Majorca. 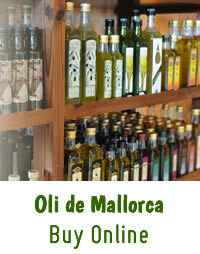 Extra Virgin Olive Oil with the Designation of Origin Oli de Mallorca. Manufactured without chemical additives by mechanical processes from the Majorcan olives Arbequina, Picual and Mallorquina. Try at home a selection of the finest olive oils, created especially for you, or even choose your special oil. Enrich your diet with the velvety liquid gold of the majorcan olive groves. 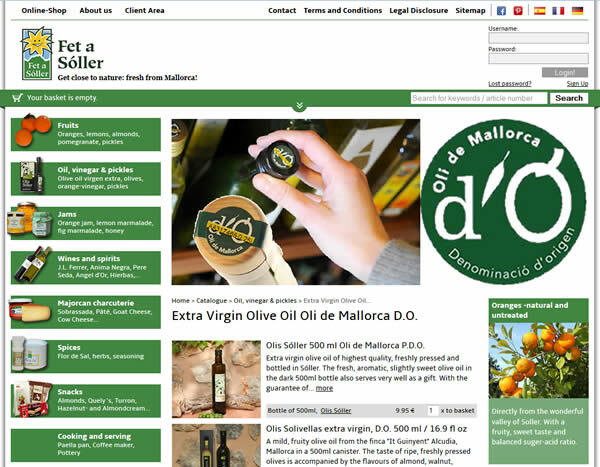 Fet a Soller, an specialist in the delicacies of Majorca, sending virgin olive oil of different Majorcan manufacturer for quantities from 30, - Eur with reduced shipping costs. Convenient and easy to shop from home at www.fetasoller.com. Are you now visiting Majorca? Visit us at our stores. Find us in Sóller opposite the Market Hall and you will find 2 shops in Puerto de Sóller. Experience our authentic delicacies from Majorca, we'll send you your choice home.